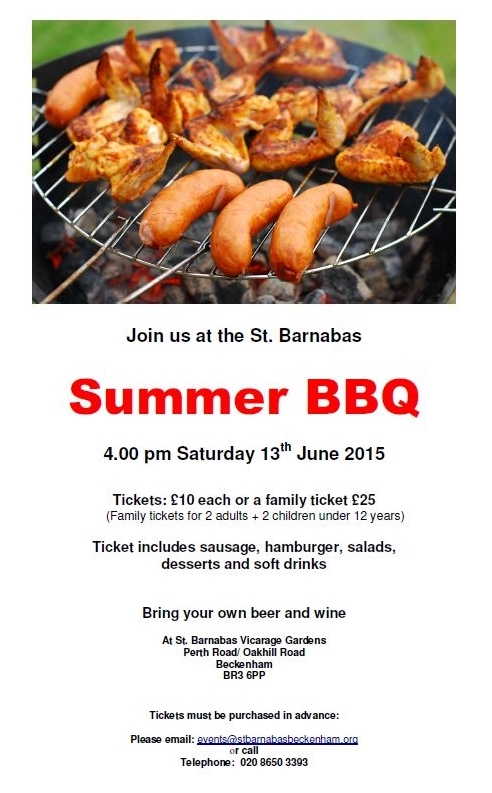 Join us at the St Barnabas Summer BBQ on Saturday 13 June at 4pm in St Barnabas Vicarage Garden. Tickets are £10 each, family tickets £25 (2 adults and 2 children under 12). Each ticket includes a sausage, hamburger, salads, desserts and soft drinks. Bring your own beer and wine. 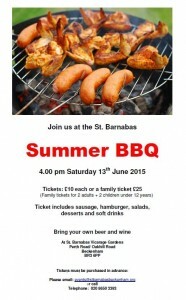 Tickets must be purchased in advance – contact events@stbarnabasbeckenham.org or call 020 8650 3393.